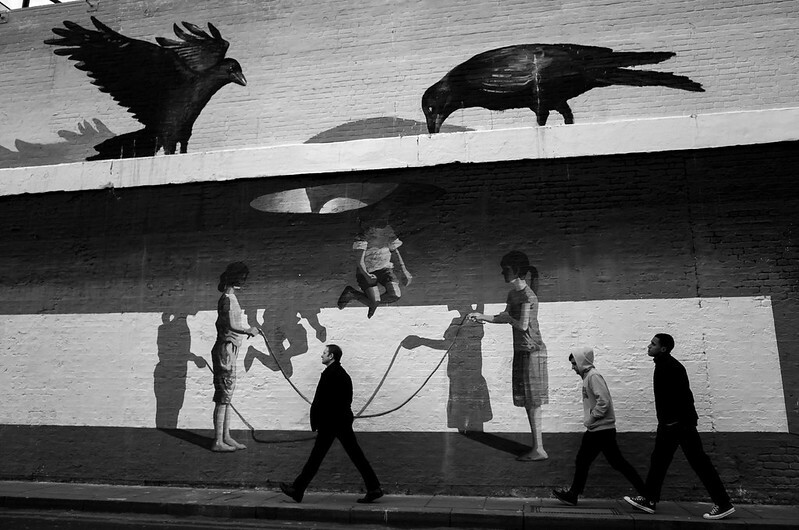 Flickr member christian cross posted this great street shot of a great mural with people walking in front of it with his Ricoh GR. 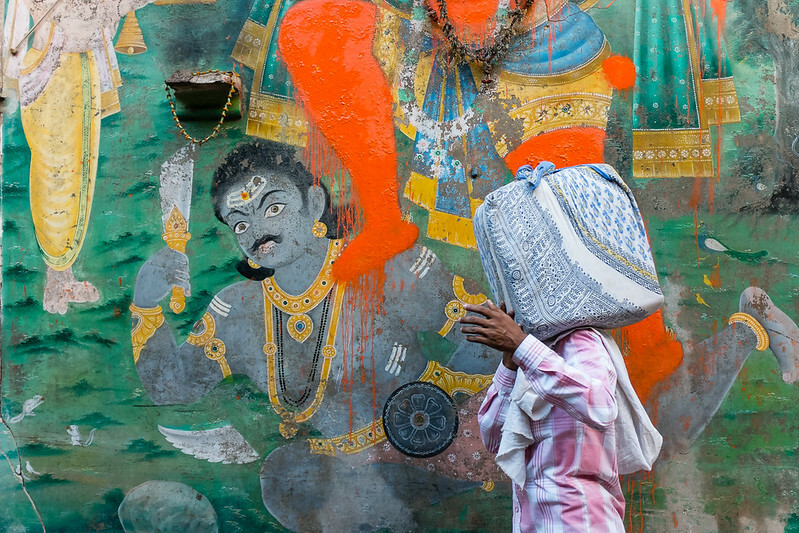 My flickr contact Alex Newman took this great street image in Varanasi, India with his Fuji X100S. Here’s an image that cries out planning. No doubt Alex saw the mural and waited patiently until the right kind of contrast moved in front of it. Sometimes even street photography needs to be slowed down to get shots like this and Alex is a master.